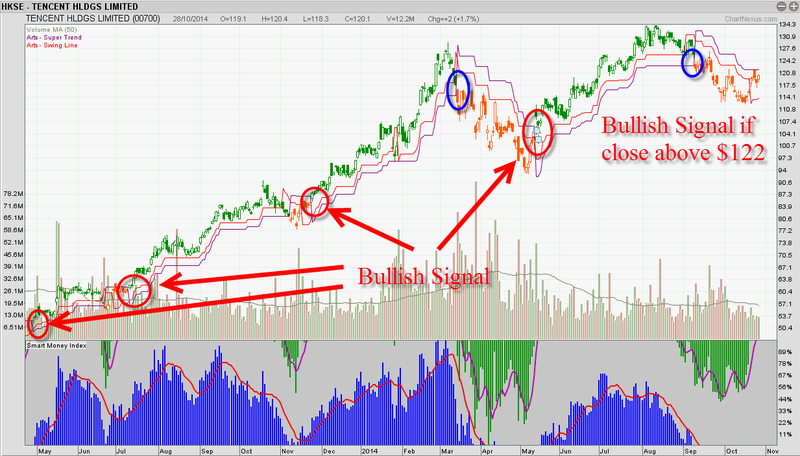 ART Supertrend system on Tencent holdings, Buy signal when orange candle turn Green candle. Currently Tencent is still orange candle, however if we can see a break above $122, This could be a change of trend from bearish to bullish. Base on our system, since 2013, green candle has give us very good result on Tencent's stock, getting in and getting out on the right timing. We have accurately spotted the turnaround of the market recently. Join Us to know how what stock we are looking at next month!